I have fond memories of composing the melody for On the Buses - something along the lines of 'Knees up Mother Brown' on wheels. There were two recordings: the first was just a demo but it finished up being featured as the sound track. My theme tune was then arranged by Max Harris to marry into the various scenes, so the theme tune is heard throughout the film. 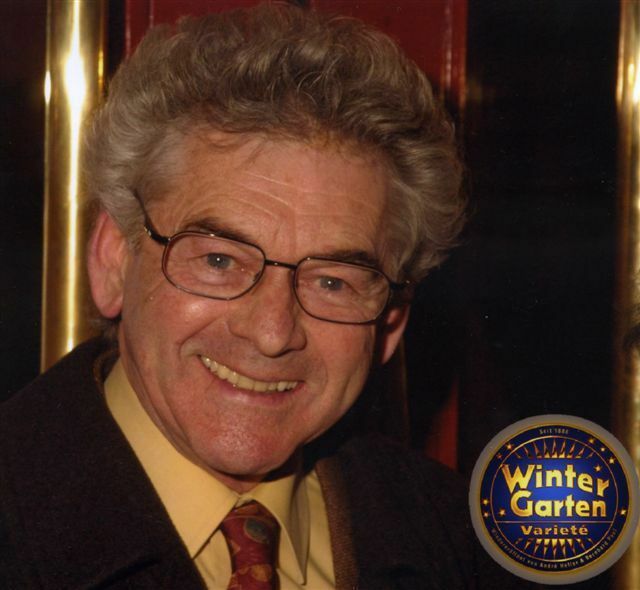 For the commercial recording, featuring the group Quinceharmon I arranged a fuller sound which featured a string section from the London Symphony Orchestra along with various ex-members of the Ted heath orchestra - Frank Horrox, piano for example. Brian Bennet of the Shadows was my drummer for the session. 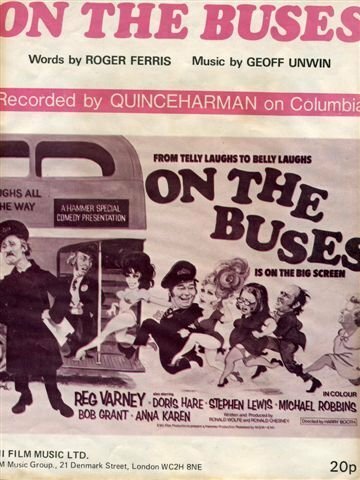 Fans may be interested to know that On the Buses was retained in many cinemas for two and sometimes three weeks, making more money, at that time, than all the 'Carry On' films together at that time - such was its popularity. The critics thought otherwise. But the British public thought better of it. The film is still hugely popular in Canada, Australia and Scandanavia. There's nothing like it, you'll agree. there is no better place to meet. no need to leave your seat. no matter what the time of day. as people fumble for their fare. they take there chance while it's there. when some one is fumbling next to you. there's little else to do. make sure you leave your bird at home. you won't be sitting on your own.